From the home of Theodore Roosevelt to the rolling farm fields and woodlands that surround it, there is much for a visitor to explore at Sagamore Hill National Historic Site. To understand the nation’s 26th president, you must visit the home that he built – where he raised his family, farmed the land, wrote books, gave speeches, conducted the nation’s business from its highest office, and lived out his final days. Walk in his footsteps. Explore the home known as the “Summer White House.” Watch the sun set from rocking chairs on the porch. Pass the fields where he rode his horses and his children played. Hike through his woods and explore the family beach. 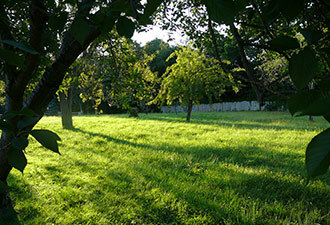 Experience the landscape that he knew and loved, and you will understand why he called Sagamore Hill home. 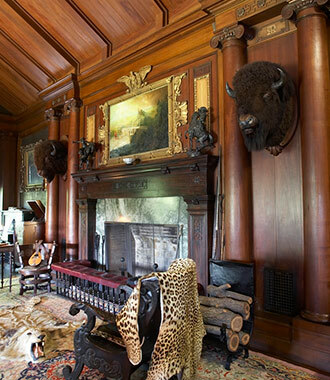 Join a park ranger and tour the family home, investigating its 23 rooms filled with the Roosevelts’ original belongings and furnishings, including thousands of books, family furniture, artwork, and hunting trophies from an adventure-filled life of outdoor exploration. After touring the house, explore the park’s historic farm buildings and fence-lined fields on your way to the Theodore Roosevelt Museum. The newly refurbished museum is located in Old Orchard, the family home of Theodore Roosevelt’s oldest son, Theodore Roosevelt, Jr., constructed on the site in 1938. The museum explores the fascinating life of Theodore Roosevelt through historic objects and photographs, letters, and video presentations. Families will want to participate in one of four different free Junior Ranger programs, including an educational scavenger hunt through the museum. A visit would not be complete without hiking the site’s nature trail, which leads to a scenic salt marsh and the family beach with breathtaking views of Cold Spring Harbor. The nature trail and estuary offer great opportunities to view an abundance of wildlife, including birds, small mammals, turtles, frogs, and insects. To strengthen your acquaintance with Theodore Roosevelt, be sure to pick up a brochure at the visitor center for a self-guided walking tour of Roosevelt-significant buildings, memorials, and sites in historic Downtown Oyster Bay. You may also want to visit the final resting places of Roosevelt and many of his family members at nearby Young’s Memorial Cemetery. We agree with Mr. Roosevelt. 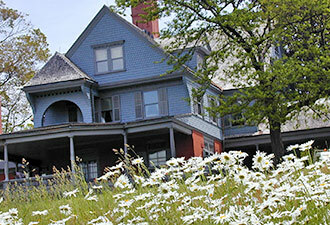 Do join us for a visit to Sagamore Hill, where there is much to do and see all year-round.